As we gear up to welcome thousands of students back to TutaPoint, we share in the range of emotions as summer ends and school begins. In Los Angeles California, summer is over as hundreds of thousands of students headed back to school this week. The Los Angeles Unified School District is the nation’s second largest school district. 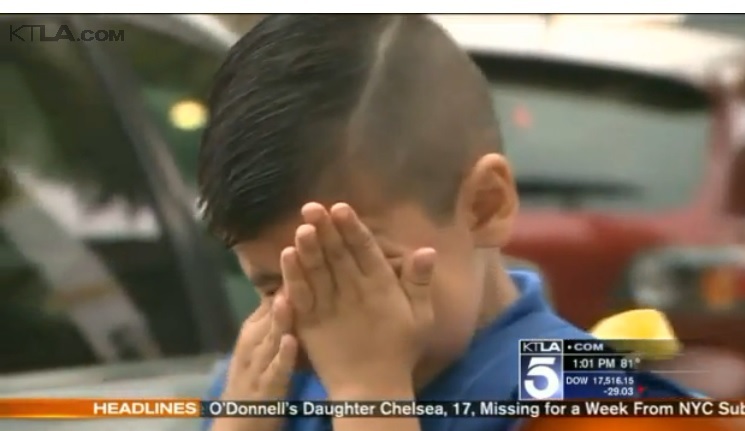 Courtney Friel, a TV news reporter for KTLA had an opportunity to interview students and parents as they arrived for the first day… And… she brought Andrew, a 4 year old boy arriving for Pre-K to tears when she asked if he would miss his mom. See the complete video of the interview below. Four year old Los Angels Pre-K student, Andrew when asked if he would miss his mom. Friel apologized, adding that she is also a mother of young children and will be going through this too! Watch the complete video of KTLA’s Courtney Friel’s visit to the Los Angeles Unified School District’s first day of school on August 18, 2015 below.